Biblical lessons in a new way? Young & Holy is a Christian religion platform for youths where trends are explored based on religion. They came up with the concept of “Storyroom”, a product in which youths become part of a Bible story. They get confronted with dilemmas, life questions and peer pressure. 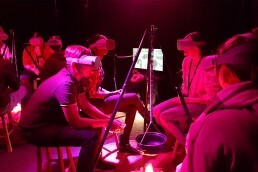 Young & Holy wished to use VR for their Storyroom to not only tell a story, but to make youths experience the story. 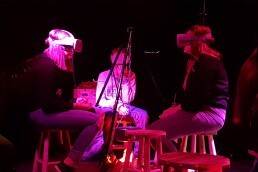 The story of Joseph and his brothers is told using 360° videos with Oculus Gos. The VR Sync software is used to simultaneously show the 360° videos to the youths. During the story, all the youths get assigned a role to make them actively part of the story. They face unexpected dilemmas that release emotions that allow the youths to reflect and confront them with life questions. For what do you do when your ten older brothers wish to get rid of the eleventh brother, simply because he is your dad’s favourite? Do you join your brothers or do you turn against them? Because of the assignments and instructions that the youths receive during the 360° videos, they cannot ignore the relevance. They become part of the story, which makes the impact of the story great. The Storyroom of Young & Holy has already traveled to multiple cities in the Netherlands. The reactions of the youths have been positive and they told that they felt involved through the 360° videos.